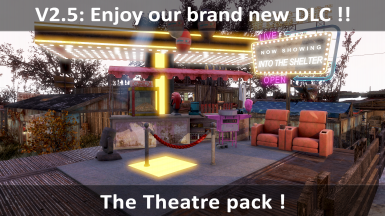 Videos of the Wasteland enables you to view videos from holotapes on in-game TVs, and film-reels at the Starlight Drive-In ! Pearl and Dean Presents... (VotW) Required. Won't do anything without it. 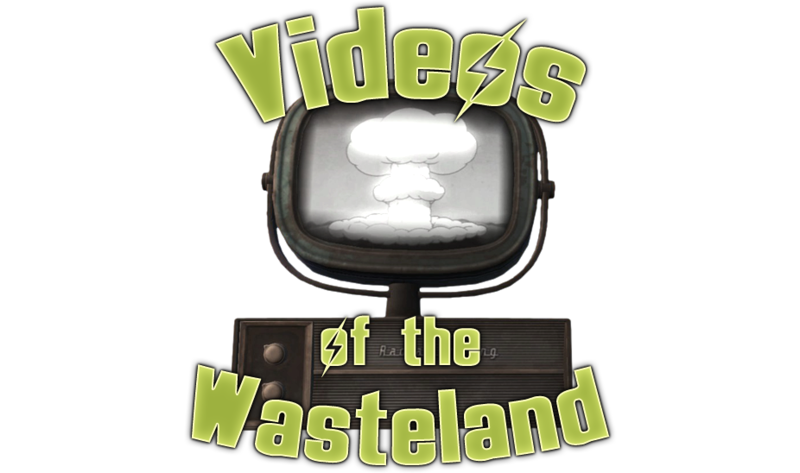 Staggeron's PUBLIC DOMAIN Videos Requires use of Videos of the Wasteland Mod without this would not be possible. Teenagers from Outer Space (VotW) It won't work without it. Any mod authors wanting to develop & expand the functionality of VotW further please get in touch to discuss becoming part of the team. New holoplayer! the amazing Radiation Queen! Here is the link to RazorWire's Workshop﻿. You will find many in-depth tutorials to assist in creating holotapes and film reel content for VotW. just by inserting a compatible video holotape in them. There are 7 S.P.E.C.I.A.L. tapes craftable at the Holotape Crafting Workbench in the VotW menu. 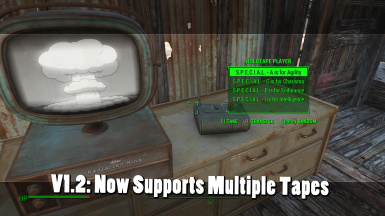 There are also numerous holotape/film-reel mods that add new content. Check this description page every few months for new holotape/film-reel mods available for VotW. The latest release of Radrose Usability Enhancements by Takatoriyama includes an item sorting patch for Videos of the Wasteland 2.5.2, adding categorization, sorting, and visual icons to inventory items added by VotW, and fully compatible with AWCKR, DEF_UI, and Valdacil's Item Sorting. install it, load the game, save it and install the next plug-in. 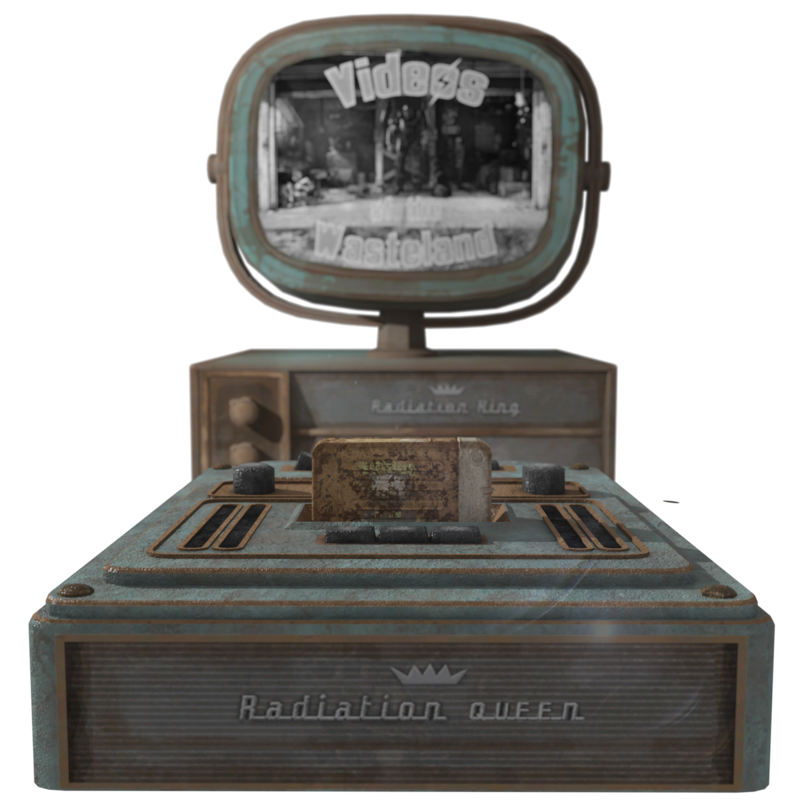 some holotapes may display the wrong video, coming from another holotape or even another mod. 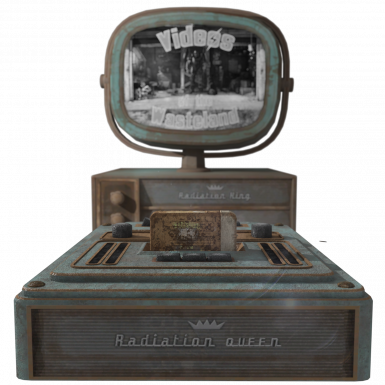 The Radiation Queen allows you to play videos on each in-game television. 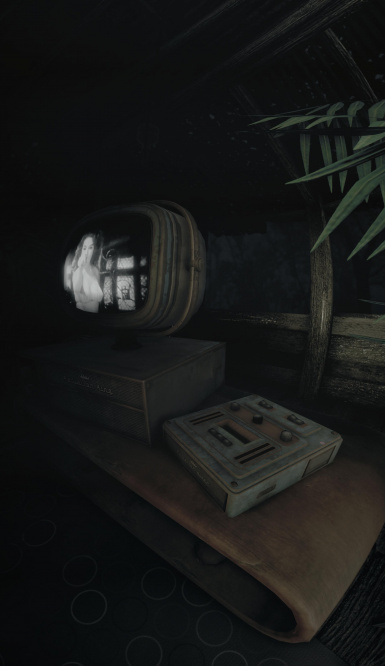 It uses compatible holotapes, some included with VotW, whilst others are available to download seperately. It needs to be close enough to the TV to get detected (Roughly 1 to 1 and a half meters in real life terms). The TV AND the Radiation Queen need power. 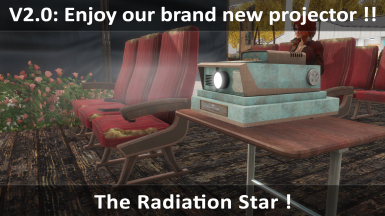 The Radiation star is a projector allowing you to play videos on a specific screen. 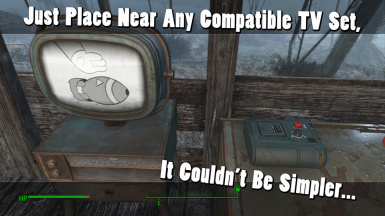 Only the Radiation Star needs power, not the screen. 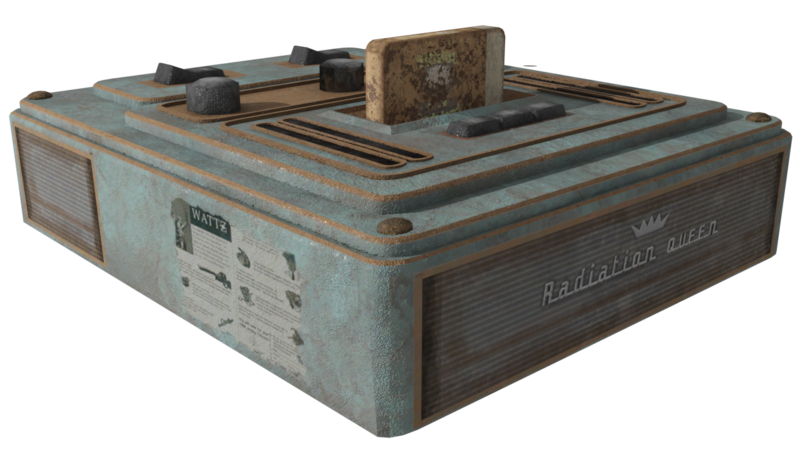 It uses the same holotapes as the Radiation Queen. If some videos are not currently compatible with it, you will be unable to insert them. There are several limitations to the use of the screen, read the F.A.Q. for more infos. 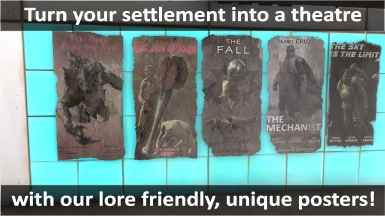 Each Radiation Star gives a 50 happiness bonus to your settlement. 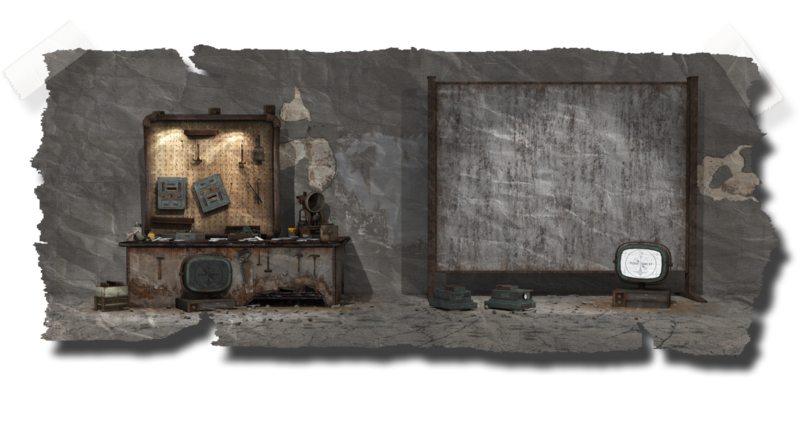 The Holotape Crafting Workbench (included with VotW and found via the VotW workshop category) enables you to craft the S.P.E.C.I.A.L. 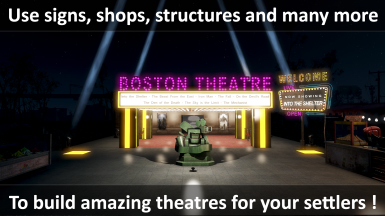 holotapes, along with all the holotape/film-reel add-on mods. 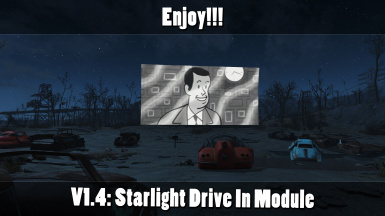 This optional add-on (in optional files) allows you to play film reels on the Starlight Drive-In screen. 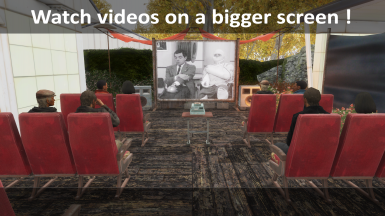 It uses film Reels, from this add-on and other video mods. You can find these reels in the stairs near the projector, or craft them at the workbench. The screen needs to be repaired with 30 steels and the main building needs to be powered. It isn't compatible with mods altering the main building / screen shapes (the re-texture mods are mostly compatible. A radiation Queen and a Radiation Star to play videos. 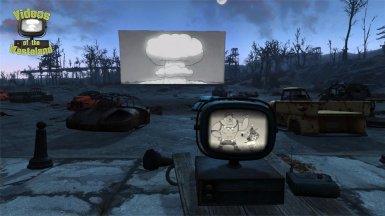 One screen for the Radiation Star. A workbench to craft holotapes and film reels. 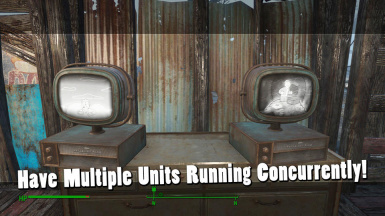 The scripts and vanilla TV modifications to enable videos playing. There are no additional TVs, posters, signs, or furniture included. There is no menu, no MCM, no volume control. You'll have only the bare necessities. 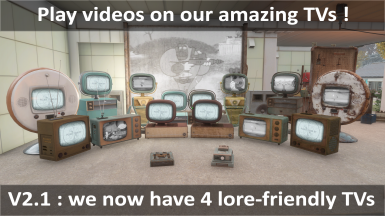 Staggerons's PUBLIC DOMAIN Videos - currently no Radiation Star support, will be added eventually. Welcome Back - Not currently compatible with 2.0. The TVs brought by other mods such as Homemaker and Quaz30's TV Replacer are not supported. 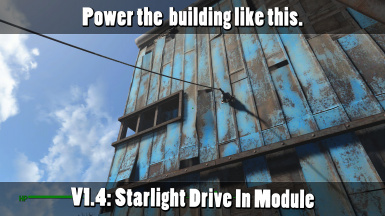 Any mods that alter/remove parts of Starlight Drive-In (such as the projector room and Drive-In screen) that VotW depends on to work, are in most cases, incompatible. This includes Starlight Delight, Starlight Cinema and Starlight is Bright Again. Q- Do videos loop or only play through once? Q- What’s the maximum resolution & length a video tape can be? A- Each frame is 256×256 pixels (vertically stretched, and re-scaled by the UVs). The current maximum time limit per tape is around 10 minutes. Q- Will you release a tutorial on how I can add my own videos? A- Look at the beginning, you can't miss that banner! Q-The radiation Star doesn't work, what's the problem? A- If an object is placed between the projector and the screen, if the projector is too far away or too close, too low or too high, and if the projector doesn't correctly face the screen, it will not work. Q- Something doesn't work, what can i do? A- You can reinstall the mod via Vortex or manually (by following the steps written in the article if you want), look whether all the files are correctly installed, make sure the plug-ins are activated and check the loose files. Q- One of my plugins says "VideosMaster.esm is missing, what can I do? 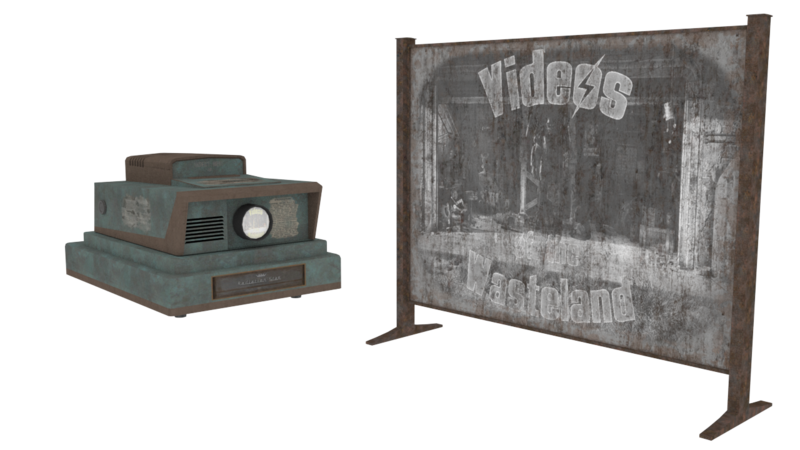 A- This plugin is outdated and will no longer work with the 2.X version of Videos of the Wasteland. Ask its mod author to update it or uninstall it. Q- How can I repair Starlight Drive-In? A- You need to go in front of the big screen with 30 steel, select "repair it" then you need to power the main projector building. Q- The Starlight Drive-In screen doesn't display any videos, what's the problem? A- For currently unknown reasons, it appears that the Starlight addon may not work for some users. and no sound, then it means the plugin doesn't work for you. 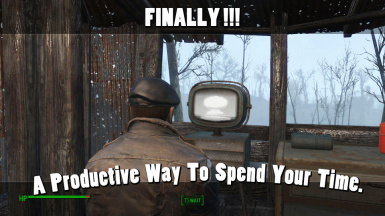 Sometimes, re-installing the mod several times, loading another save, or start a new game fix the issue. Thanks to Orvid for Caprica and Champollion, DexesTPP for HKXPack – [RazorWire] couldn’t have made this mod without any of these tools. 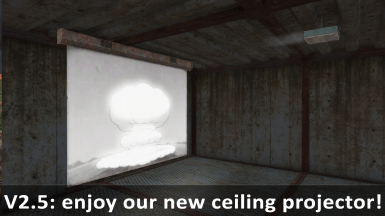 Thanks to all the devs who continue to develop Nifskope and Fo4Edit – Modding would be nowhere without you guys. 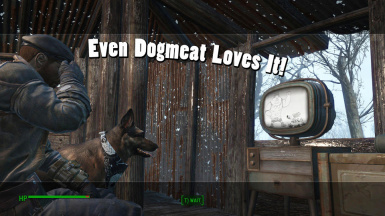 Thanks to Bethesda for making Fallout 4 as awesome and modder friendly as it is.